by John Yeoman (Pavilion Books, 2010). Seven Kinds of Magic comprises original illustrations by Quentin Blake for 7 books in which magic appears in different forms, shown alongside works from our Permanent Collection selected by the artist, which link to each of the illustrated texts. Contribute your own artworks to a Quentin Blake wallpaper backdrop, relax in our reading area, watch a film of Quentin Blake at work in his studio and read the contributions of the Walsall Young Writers’ Group to our exhibition interpretation. 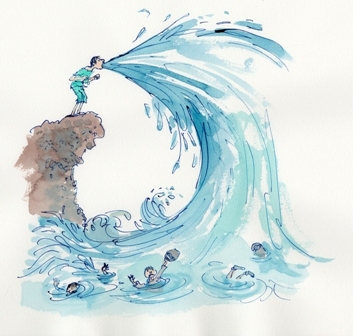 Seven Kinds of Magic was the inaugural exhibition in the Quentin Blake Gallery at House of Illustration in London in 2016. 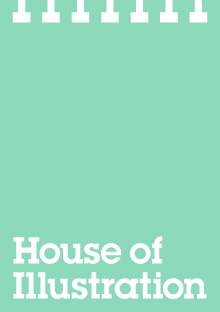 House of Illustration is the UK’s only public gallery dedicated to the exhibition and promotion of illustration, founded by Blake in 2014.